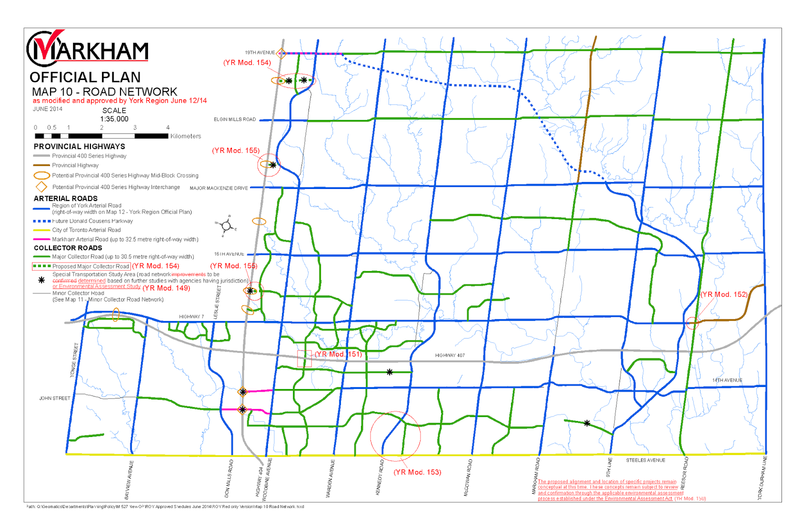 One of key factors to enable City of Markham's steady development has been the fully developed arterial traffic network: Highway 404 going from south to north, Highway 7 and Highway 407 connecting the east and west. As Markham grows eastward and northward, new arterial road will be needed to cater for the projected growth in population and development. 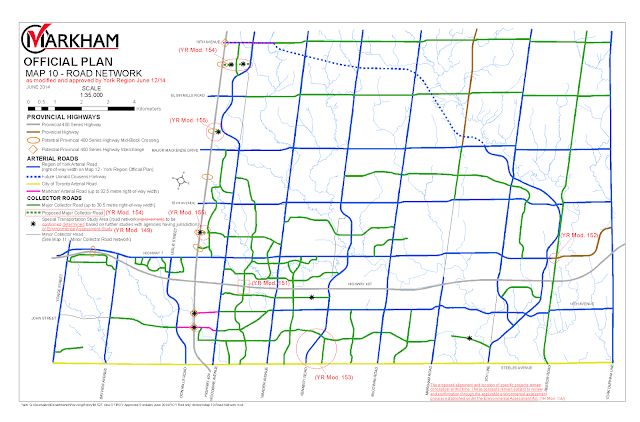 In Markham's Official Plan, Donald Cousens Parkway (also known as York Region Rd 48 or Markham Bypass, currently traves from Steeles Aves to Major MacKenzie Dr. along the city eastern boundary) will be expanded noth-westernly to connect with 19th Ave near Highway 404. Regardless whether you are looking for a home or a property investment, real estate and development along the Donald Cousens Parkway (current and future extension) will definitely worth watching.